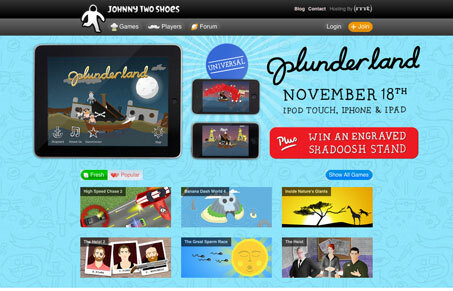 Aside from having some marvelous games Johnny Two Shoe’s website is great. I love the game art all over the site and the typography just melds it all together perfectly. The site is actually not too complex in both presentation and execution but it’s the content that grips you and keeps you interested. Really great stuff here.